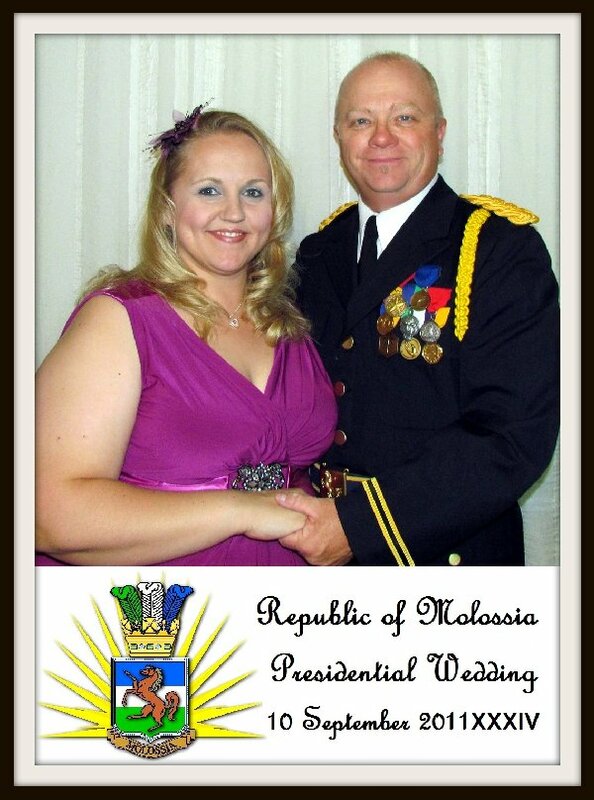 The Government of the Republic of Molossia is pleased to announce the wedding of His Excellency, President Kevin Baugh and Miss Adrianne White, to take place on 10 September 2011 XXXIV. This is a most historic day for the Republic of Molossia and in the lives of the President and the soon-to-be First Lady. The wedding will take place at the historic Lake Mansion in Reno, Nevada; the invitation-only guest list includes a host of family, friends and foreign dignitaries. The reception will follow the ceremony at the same location, where the gathering will celebrate the union of Our President and his First Lady, and the dawn of a new era in the history of our mighty Republic! Visit the webpage of the Presidential Wedding here.